March 31 (UPI) — The winner of a $521 million Meg Millions jackpot bought the lucky ticket in New Jersey, the lottery game announced Saturday. The prize, which comes out to roughly $317 million in cash, is the fourth-largest jackpot in Mega Millions history, according to a Mega Millions news release. 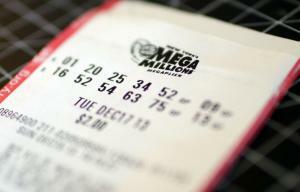 Mega Millions hasn’t identified where in New Jersey the winning ticket was sold. Friday’s drawing ends a jackpot run that began Jan. 5. Players bought $17.6 million tickets during that time. In the next drawing, on Tuesday, the jackpot will reset to $40 million, or $24 million in cash.